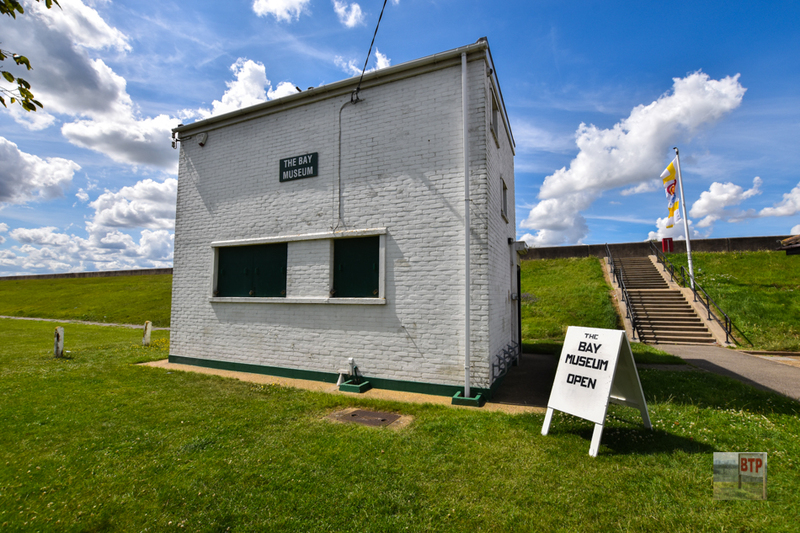 The Bay Museum is a friendly museum situated on Canvey Island. Based in a degaussing station, it now offers a wealth of artefacts, books and displays focusing on both local and world military history. Open from 10am till 4pm, the museum also organises trips to France and Belgium to experience the battlefields first hand, as well as helping you research your own family military histories. The museum is run by volunteers who always warmly welcome visitors and are never short of a war story! Easter Sunday the Museum will be shut. We’ll reopen the following Sunday. I have I hope taken root at last; but you never know in this army of ours. Our high elevation here gives us the full force of very strong winds, but the wonderful view is usually obscured by frequent heavy rain and hail showers. It has been a very cold spring. The good weather only lasted three days. The Captain is coughing and sneezing like a soda water bottle, so I suppose I shall be in a like condition in a day or so. We are miles away from anywhere, and some distance from the rest of the Brigade, so we are not worried much by senior officers and the staff. But yesterday the General did arrive with the Colonel and the A.D.C., who was at school with me at Cheltenham. He seemed fairly satisfied. My harness is not over clean, however, and I expect there will be trouble before long if it is not better. I am very shorthanded at present, as many men have been demobilised, none taking their place. There are a lot of horses to look after as well, about 170, among them a whole section of greys, which look very fine. There is only one captain, a ranker, and one subaltern with me. One subaltern is away with the guns, which are being calibrated on the other side of the Rhine. Another is going on leave as he has not been home since last October, and yet another is attached to B Battery, as they have only a Major and a Captain. The Boche villagers here are an extraordinary crowd. They are very polite, and I take what straw and wood I like without paying for it, which is a novelty. All have to be in their houses by nine unless they get permission from me to be out. If they are caught out the sentries arrest them and they are subsequently tried for the offence. They seem to be doing a lot of work in the fields, when they are not in church to which they go regularly every morning. I am living in the school house, and have quite a good mess, and an excellent piano. We use all their crockery and cutlery without payment. Nearly all the men have beds. Unfortunately there is nothing for the men to do when they are not working, and there is sometimes a little trouble. We had a service on Sunday afternoon, the wretched padre having to come miles, and a sort of concert in the evening. It is much too wet to play games at present. One of our subalterns, Isgar, is a Somerset farmer. Do you remember the pre-war Empire Days and the thoughts of a possible German menace. Well, here we are on the Rhine. C.R.A. Brig. General M.P. Monkhouse, C.B., C.M.G., M.V.O. C.O. Lieut. Colonel R.G. Thomson, C.M.G., D.S.O. “ “Prime” No 2289 £24.0.0. “ “Hopeful” No 2386 £22.0.0. “ “Comely” No. 2387 £22.0.0. The total amounts for each Drifter were handed to the respective Skippers & amounted to the sum of £2 per man. Receipts in duplicate were obtained the originals of which are enclosed herewith together with list of names of crew. The duplicates are being held by me until my arrival in Falmouth. “ “Prime” No 2289 £26.0.0. “ “Hopeful” No 2356 £24.0.0. “ “Comely” No. 2387 £24.0.0. Receipts from each Rank & rating were obtained in duplicate, the original being enclosed herewith & duplicate being held by me until my arrival in Falmouth. Your letter of March 18th received. Glad to hear Dad has been a bit busy but I suppose it won’t last long. Hope his feet are better. I had a letter from Bert this week; he must be having a jolly rough time. He doesn’t seem to think the war will be over just yet, not before next Christmas, he says. I suppose they discuss it every other day in the trenches the same as we do here. I think I’ve told you before that I’ve got a rupee (1s/4d) bet on with another fellow that it’s over by Oct 31st. I hope I shall win it. Well we are going to Darjeeling at last, 19 of us from this Co. We leave here to-morrow, Wed 14. (I’m writing this Tues 13th). It will be a change for us. We’ve got to put on warm clothing! & take 2 extra blankets. The temperature up there is about 45o whereas it was over 100o here yesterday. So I expect we shall feel pretty cold the first few days. I’m sending some photographs by this mail. They are only groups taken at Dinapore & as I don’t want to cart them up to Darjeeling I’m sending them home. I would have sent them long ago only I’ve been going to have some done of myself alone but have not done so yet. I was going to send them all to-gether. I will tell you what the groups are next week & whether there’s anybody else you know in them. They are at the bottom of my box at present. Thank May for her letter of 18 Mar. Will answer it next week. Just turned out photographs. They are not up to much, not worth sending in fact but as I’ve paid for them I might as well send them. The big one & the P.C.s is No 1 Section, (my section) & the other is just an odd group. I enclose the P.C.s. C.A.S. is in both of them. The chap sitting on the form on the extreme left of the Section photo was the one that was billeted with me in Sittingbourne. G.W.R. List of Officers, N.C.O.s and Men of the Construction Department, Inland Water Transport, Mesopotamian Expeditionary Force mentioned in Sir William Marshall’s despatch dated 11th November 1918 and published in the Supplement to the London Gazette dated 18th February 1919. Captain (Temp. Lieut. Col.) R.D.T. Alexander D.S.O. 1/14 Bn. London Regt. (London Scottish). Lieut. (Temp. Major) E.L. Harvey, I.A.R.O. Temp. Captain G. Neilson, R.E. Temp. Lieut. H.R. Pape, Special List. Temp. Captain E. Wilson R.E. Sergeant (Acting C.S.M.) V.G. Bearn R.E. No 309077. L/Corpl. H. Darke R.E. No 309090. Sapper (Acting Sergeant) J.H. Lang R.E. No 553959. Sapper (Acting Sergeant) W.C. Prouse R.E. N552840. Sapper J. Scotland R.E. No 554149. Sapper (Acting C.S.M.) R.C. Watts R.E. No 553229. Geary No 25184, Carpenter Foreman. Hon. Temp. Subadar Gyan Chardra Roy. L.A. Castellas No 25627, Clerk. F.W. Knight No 23427 Stenographer. Allah Ditta No 19808 Chargeman Fitter. Roor Singh No. 9920, Carpenter R.I.M. Hon. Temp. Jamadar Mohamed Din No. 42427 Workshops Chargeman. Nand Singh No. 35475, Carpenter. Santa Singh No. 25189, Wireman Foreman. Sona Kara, No. 61620 Tindal. Drjan Singh No. 46896, Carpenter Mistry. Yakub Ali No. 47758, Timekeeper. Jeneant Singh No. 19683; Carpenter. With Major Harvey’s and my Congratulations. I took over the command of this battery yesterday. We are in the hills all by ourselves. There is a wonderful view from my bedroom over the hills and pine forests. The village is small and rather dirty, but my billet and the mess are quite good. I knew one of the Battery Commanders before. He is Wheeler of A Battery. The Colonel, Thomson came to lunch yesterday with the Adjutant, Burston. Your letter of March 12th received. I sent my insurance card to the Society about the 2nd or 3rd week we were here so they must have got it soon after sending that notice. I have not come across any place where I could get a parrot; but you need not reckon on me bringing one of those things home. I don’t suppose we could if we wanted too. We shall have quite enough to manage as it is. As our Colour Sergt says this is not a tea-party, we are out here as soldiers. We are at Ishapore again this week on guard. There’s no upper floor to the guard-room so we find it very hot. It is a job to get any sleep at night time. We generally have a couple of hours sleep in the afternoon, that is if we are not on duty. It’s too hot to do anything else. It’s very nice this morning as I write this, on the bank of the river Hooghly; the one place where it’s a bit cool here. There’s a nice breeze blowing. I went to Calcutta again last Sat. It’s a treat to see a little of town life now & again. We had a ride round in a 1st class garrey as far as St Paul’s Cathedral. We had a look in there; it’s a fine building but very small for a Cathedral. We came across an English watch maker so I’ve left my watch with him to be mended. It’s going to cost me 5 or 6 “chips” (7/- or 8/-). I think we shall go to Darjeeling next week I hope so at any rate. I had some more papers from Holt this week.